Glashutte crafts a timepiece made with overtures of dream-filled colour tones with a striking diamond set bezel that exudes nothing but pure luxury. A striking mother of pearl deal exhibits soft colour tones and Glashutte's signature cloud effect. The watch is made with scratch-resistant sapphire crystal and made with the highest standards of German watchmaking. 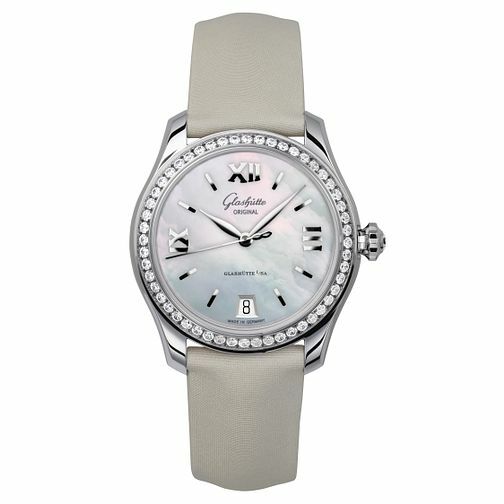 Glashutte Lady Serenade Ladies' Diamond Grey Strap Watch is rated 5.0 out of 5 by 1.